Today we're excited to share with you Cornflix TV, a new video platform that reimagines what the internet video experience could be. Cornflix TV is like a global TV station with hundreds of channels that features the best videos on the web - categorized, tagged and sorted so users can find what interests them the most. There is amazing video content online and we want to make it as easy as turning on the TV. 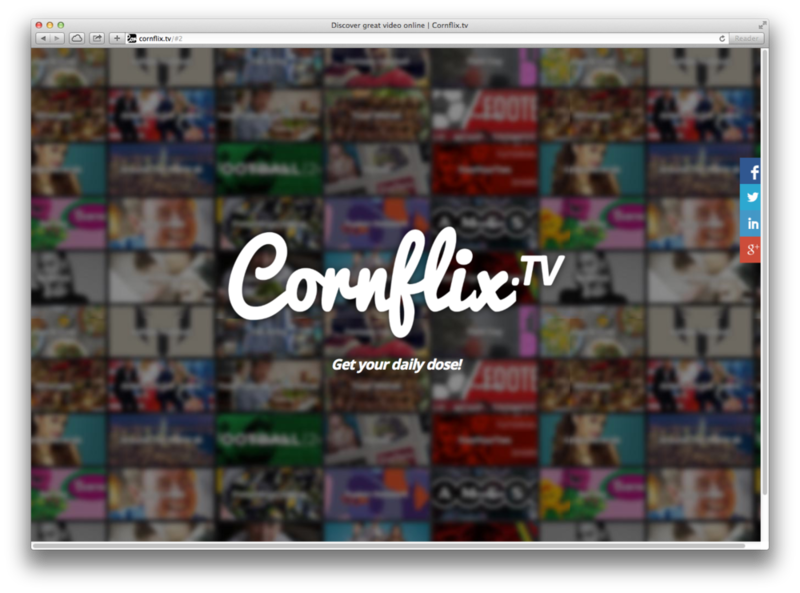 User experience is paramount and Cornflix TV is pure content with a minimal UI. We also aim to make Cornflix TV a wholesome, positive, inspiring and uplifting experience - there is already too much negativity in the world! Cornflix TV will eventually be available on all devices, but currently you can enjoy it on your web browser, iOS and Android devices. While mobile is huge right now, there are still massive audiences on desktop and in the living room. We are launching with the new Apple TV this October, and we invite you and your fans to join us in the Cornflix TV revolution. We are excited to hear back from you with any feedback and suggestions that you have. Thank you and have an awesome day ahead!